all of whom have solid backup and data redundancy practices in place. Sometimes backups fail. Sometimes a data storage device will fail right after you entrust it with critical data. A salesman might drop a notebook computer getting off the plane after a two-week sales trip, a mere hour or two before everything would be backed up. All of those listed here have tried to improve their data backup practices, but many of them remain as repeat clients because no data redundancy program is perfect. 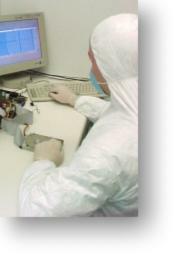 We hope you'll trust your data recovery needs, no matter how small or large, to our expert staff. When you trust DataICU with your data recovery needs, you're in good company.